Mount Bromo Camping Package is a package that aims to provide a new experience for our customers. If you are a photographer or like taking landscapes. 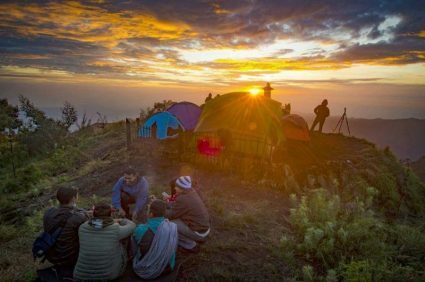 The mount bromo camping package is the right solution because camping would be better to get the sunset, sunrise and stargazing on mount bromo. General tour in bromo will use hotel to rest and sleep. But it will be inconvenient if will take a picture of the most amazing scenery. You still have to get out of the hotel and go to the shooting place by walk or a car. With a camping so many conveniences that can be felt like taking a picture of the Milky Way and little stars and landscape mount bromo at night. You will also feel along with nature. The journey will start from pick you up in Surabaya or Malang. Take a trip to Cemoro Lawang village for about 4 hours driving. Talk to our guide or driver please for find out restaurant or toilet during the trip. Arrive in Cemoro Lawang village and prepare to the camping area we have prepared before. Enjoy the beauty of scenery and drink coffe or tea with rest in a tent. 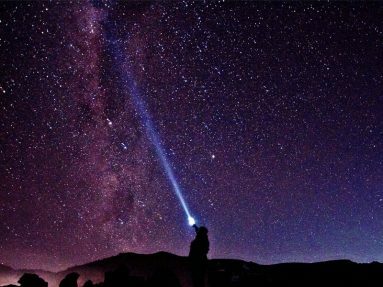 At 1 am you can see and take a picture of the Milky Way in mount bromo from the front of the tent while drinking coffee or eating cup noodles. After finish seeing and take picture the Milky Way it’s time to go back to tent for rest. Wake up at 4 am to welcome the sunrise and enjoy its beauty until finish and packing. The jeep has been waiting to take you to the bromo crater, Savanah and whispering sand. After tour in bromo area jeep will take you back to Cemoro Lawang village. arrive in Cemoro Lawang have breakfast in a hotel restaurant. After breakfast directly to surabaya or malang, arrive and tour finish.